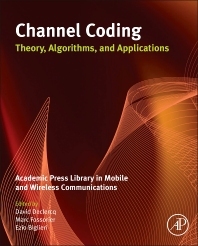 This book gives a review of the principles, methods and techniques of important and emerging research topics and technologies in Channel Coding, including theory, algorithms, and applications. Edited by leading people in the field who, through their reputation, have been able to commission experts to write on a particular topic. David Declercq was born in June 1971. He graduated his PhD in Statistical Signal Processing 1998, from the University of Cergy-Pontoise, France. 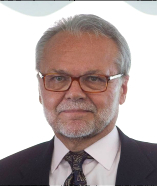 He is currently full professor at the ENSEA in Cergy-Pontoise, and is the general secretary of the National GRETSI association, and Senior member of the IEEE. He is currently the recipient of junior position at the "Institut Universitaire de France". His research topics lie in digital communications and error-correction coding theory. 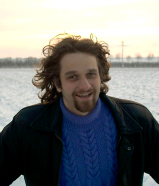 He worked several years on the particular family of LDPC codes, both from the code and decoder design aspects.Since 2003, he developed a strong expertise on non-binary LDPC codes and decoders in high order Galois fields GF(q). A large part of his research projects are related to non-binary LDPC codes. He mainly investigated two directions: the design of GF(q) LDPC codes for short and moderate lengths, and the simplification of the iterative decoders for GF(q) LDPC codes with complexity/performance tradeoff constraints. David Declercq published more than 35 papers in major journals (IEEE-Trans. Commun., IEEE-Trans. Inf. Theo., Commun. Letters, EURASIP JWCN), and more than 100 papers in major conferences in Information Theory and Signal Processing. Marc Fossorier's research interests include decoding techniques for linear codes, cryptography, communication algorithms and statistics. Dr. Fossorier became IEEE Fellow in 2006 and he served as Editor for the IEEE Transactions on Information Theory from 2003 to 2006, as Editor for the IEEE Transactions on Communications from 1996 to 2003, as Editor for the IEEE Communications Letters from 1999 to 2007, and as Treasurer of the IEEE Information Theory Society from 1999 to 2003.
and Error Correcting Codes (AAECC). EZIO BIGLIERI was born in Aosta (Italy). He is now an Adjunct Professor with the Electrical Engineering Department of University of California at Los Angeles (UCLA), and with Universitat Pompeu Fabra, Barcelona, Spain. He was elected three times to the Board of Governors of the IEEE Information Theory Society, and in 1999 he was the President of the Society. He served as Editor in Chief for the IEEE Transactions on Communications, the IEEE Transactions on Information Theory, the IEEE Communications Letters, the European Transactions on Telecommunications, and the Journal of Communications and Networks. Research on Long-term Challenges in Information and Communication Sciences & Technologies ERA-Net). He is a Life Fellow of the Institute of Electrical and Electronics Engineers (IEEE). In 1992 he received the IEE Benefactors Premium from the Institution of Electrical Engineers (U.K.) for a paper on trellis-coded modulation. In 2000 he received, jointly with John Proakis and Shlomo Shamai, the IEEE Donald G. Fink Prize Paper Award and the IEEE Third-Millennium Medal. In 2001 he received a Best Paper Award from WPMC01, Aalborg, Denmark, and the IEEE Communications Society Edwin Howard Armstrong Achievement Award. He received twice (in 2004 and 2012) the Journal of Communications and Networks Best Paper Award. In 2012 he received from the IEEE Information Theory Society the Aaron D. Wyner Distinguished Service Award, and from EURASIP the Athanasios Papoulis Award for outstanding contributions to education in communications and information theory.